Check out the teams competing to win! See them all here and tell us which ones you like best! Join us for the Live Pitch Event FInals in New Orleans on March 27th, get your tickets here. We are looking for innovators in the digital health start-up scene to bring their solutions to New Orleans. Four teams that offer tangible solutions to our local healthcare partners will be crowned at our finals pitch contest in March. Join us there! Four Challenge were issued by six leading healthcare institutions and partners, each with their, each with their own unique topic and prizes. Each is detailed below and has inspired many qualified applicants. Finalists will be selected by a panel of healthcare professionals, New Orleans business leaders, the MedStartr Mentor network and the vast crowds of healthcare stakeholders that will come to the site to review your projects - including you! Finalists will have the chance to come to New Orleans to present in March 2019 and be connected to funding opportunities, pilot programs, incubator accelerators, partnerships and more. Thank you for being part of the 2019 NOLAHI Challenge, we look forward to learning how we can help improve medicine for you in the near future. Please do not hesitate to reach out to us if you have questions. More and more, healthcare providers are recognizing the role of social determinants of health in leading to disparities and making it more difficult for patients who have long-term health conditions like diabetes, high blood pressure or heart disease to manage their conditions effectively. These are factors that are often out of the patient’s control but can have a direct impact on health, such as financial security, environmental conditions, access to care, transportation options and food availability. Today, general data assessments are available through institutions and other sources, which can often be drilled down to the ZIP code level. But, there is no individual-level assessment that will identify specific people at risk whose health could be affected through social interventions. While individual-level data is available through different sources (e.g. the person’s health plan, provider’s office records and/or meetings with a case manager), this information exists in unstructured form, and there is no strong way to pool data from multiple sources to create an individual risk profile. Today, the best source of individual-level risk is patient interviews with a case manager, which produce data that are insightful but hard to collate and develop for broader interventions. Our challenge is to develop a digital solution that would allow healthcare providers and payers to gather social determinant data from multiple sources to both identify gaps in existing data and to structure the data to create effective individual-level risk assessments. The current lack of structured data creates roadblocks in many interventions both Ochsner Health System and Blue Cross and Blue Shield of Louisiana are trying to undertake. Having a digital, readily available solution to augment data that exists within both organizations with data from other social sources would enable both organizations to move forward in developing health solutions for people who are truly at risk. Ideally, in addition to processing the data, the solution would include the functionality for communication between payers and providers to increase opportunities to connect their shared patients with resources and access to care. Selected finalist(s) are eligible to receive a cash prize of up to $36,000, as well as the opportunity to receive in-kind prizes, such as free co-working space, a spot on a startup accelerator program, and more items, subject to availability. Selected finalist(s) may also be selected by one or more of the challenge supporters to participate in a pilot, co-development or other business relationship. Improving access to preventive and primary care services for uninsured, underinsured and low-income residents of Orleans Parish, particularly those who make critical contributions to our economy as members of the hospitality and tourism sector, and shift workers across industries. Access to quality healthcare is an essential part of achieving and maintaining good health. Health insurance is known to increase access to health services, particularly primary and preventive care, and is associated with positive health outcomes. The percentage of uninsured adults under 65 in New Orleans has drastically decreased in recent years, largely due to Medicaid Expansion passed in Jan 2016. Expansion not only lowered the overall rate of uninsured from over 20% in 2013 to 11.6% by the end of 2016, but also lowered the percentage of uninsured living at or below 138 percent of poverty by anywhere from 6-9% (U.S. Census, SAHIE, 2018). Despite this, there is still an estimated 61,500 uninsured in the region, over 19,400 of which qualify for Medicaid (LHIS, 2017). In Louisiana, those that remain uninsured are more likely to fall into any of the following categories: 19-26 and 27-44 years of age, male, childless, between 150-200%FPL (just above the threshold for Medicaid) and under 100% FPL, black, and have less than high school education. Although a critical component to accessing care, being insured does not guarantee the availability of care nor access to healthcare services. Factors such as social and economic conditions, the distribution of resources and proximity to community assets can drastically impact whether or not a resident receives the care that they need; this creates significant differences in access to care by demographics and geographies, leaving some groups or neighborhoods faced with greater barriers to accessing care than others. Despite these barriers, there are several assets that may be utilized to address the issues in access. For one, there exists a robust network of over 60 community health clinics, many of which are Federally Qualified Health Centers (FQHC) receiving federal funding to provide free or affordable care in underserved, low-income communities with high rates of uninsured. These clinics are required to meet Cultural and Linguistically Appropriate Standards and meet the needs of their immediate service area. Additionally, the development of University Medical Center New Orleans, a state of the art non-profit hospital and the region’s only level 1 trauma center, offers new opportunities to increase access to those facing social and economic barriers. Connect residents to a medical home and primary care provider that meets their needs and is aligned with their personal preferences, increasing access and the likelihood of service utilization. Needs and preferences to be considered may include: clinic hours and location, insurance status, in network/out of network coverage, language preference, provider gender, options for transportation, service needs etc. Streamline the process for making an appointment at a time and location that works with the user’s availability. Encourage uninsured residents to get insured by seeking assistance with health insurance enrollment and/or receiving information regarding options for health insurance. Increase knowledge and awareness of health insurance and healthcare services in a way that is culturally and linguistically appropriate, ultimately empowering the user to engage with the healthcare system more often. Examples of topic areas could be: health insurance enrollment, health insurance basics, overview of services, commonly used words and definitions, etc. Ultimately, the digital solution should be made with the target population in mind, be user-friendly, intuitive, and locally relevant. It should take into consideration the barriers identified and the known disparities in access to care in the area. The winner of the “Access to Care” Challenge will tour the $2.1B University Medical Center located in the heart of the New Orleans BioDistrict. The winning team will also have the opportunity to meet with Senior Executives from both University Medical Center and the New Orleans Health Department, to discuss matters such as potential improvements to, and/or the implementation of the winning solution within local patient populations. 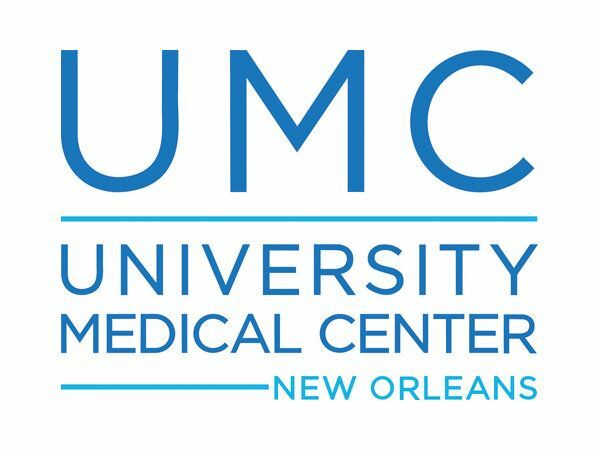 Upon determination of implementation potential, University Medical Center and the New Orleans Health Department will promote the winning team’s technology through multiple marketing and communication channels. The winning team may also be eligible to receive in-kind prizes, such as free co-working space, a spot within a startup accelerator program, startup business services, and more items, subject to availability. Healthcare must continue its transition from patient engagement to patient experience, specifically focusing on the delivery of healthcare information to the patient in near real-time. No longer should a patient wait to get their records, have to sign into multiple systems to retrieve information, or have to wait days for the results of a test. Patient centered health outcomes and the incorporation of IOT devices in the health record are a must. We are looking to hear from companies that are seeking to solve these problems, specifically the unification of multiple disparate data streams, in near real time and delivered to the healthcare patient/consumer in the modality/on the device that they choose. The Lafayette General Foundation (LGF) houses the Healthcare Innovation Fund. The Fund invests in companies that require seed capital investment. Should companies or individuals seeking to form companies respond to The Real Time Results Challenge thereby creating solutions that LGF believes hold promise, the potential exists for the companies to receive investment from the Healthcare Innovation Fund. Selected finalist(s) may also be eligible to receive in-kind prizes, such as free co-working space, a spot on a startup accelerator program, startup business services and more items, subject to availability. Healthcare costs continue to rise across the United States, and changing benefit plans are placing more financial responsibility than ever on consumers. Those higher healthcare costs can often lead to consumers delaying needed care for financial reasons, resulting in preventable or treatable conditions worsening. What innovations can help consumers reduce their out-of-pocket healthcare costs, thereby helping ensure that financial issues aren’t delaying needed or preventive care? Can the innovation tailor to the needs of existing patients based on their individual health records on file in order to create customized preventative care plans/advice/etc.? Many healthcare innovations reduce costs indirectly (for example, population health initiatives that reduce costs by reducing the need for health services through education and preventive care). For this challenge, preference will be given to innovations specifically geared toward innovations likely to have the most significant impact on existing hospital patient populations. We look forward to working with creative thinkers to develop fresh solutions to ensure a healthy future for patients. The winning team in The Affordable Choices Challenge will have the opportunity to meet with HCA-Tulane’s senior executives in the business development and operations teams – as well as HCA’s Parallon partners in supply chain and information technology – and receive a facility tour, following the finale. Winning team may also be eligible to receive in-kind prizes, such as free co-working space, a spot on a startup accelerator program, startup business services and more items, subject to availability. How does a Crowd Challenge Work? If you have a great new idea in healthcare at an early or rapid growth stage and are either based in the New Orleans area or want to do business here, we are interested! For a more detailed listing of some of the areas, please see the official rules. We also need the help of patients, doctors, hospitals, insurers and other partners in choosing the best ideas, testing them, and much more. If you are interested, please subscribe below! NO PURCHASE NECESSARY TO SUBMIT AN APPLICATION OR TO BE SELECTED. A PURCHASE WILL NOT INCREASE YOUR PROBABILITY OF BEING SELECTED. INTERNET ACCESS, A VALID EMAIL ADDRESS, AND A VALID PAYPAL ACCOUNT ARE REQUIRED.